A 6ft Samick grand piano, model Sherman Clay SDG2. Built in 1987, well cared for and in superb like new condition.. no scratches. See close up pic of hammers and you will notice zero wear...has very low miles. Includes original bench which has been freshly reupholstered. The tone of the piano is quite amazing and the action is a joy. Excellent piano for students or experienced players. Cabinet finish in cherryish honey color with white spruce sound board - A beautiful piece of furniture as well as a high quality instrument. If you're looking for a special piano to own for years to come this may be the one. standing in U.S. history. This piano is an identical production of the 6ft 'Samick' with different label. Delivery is included in SF Bay area to first floor with 3 or less steps. Further delivery or more steps is negotiable. The piano is located in Santa Cruz area. 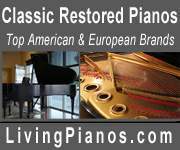 Outstanding value considering the quality of the piano and all the work and services included. Rivals some Yamaha and Kawai models. The same model sells over twice the price in a used piano store. Here is one in ebony that sold in a used piano store for $9000.. 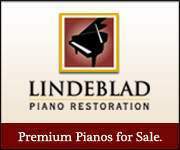 Contact with any questions or to schedule appointment to see the piano. Thanks.